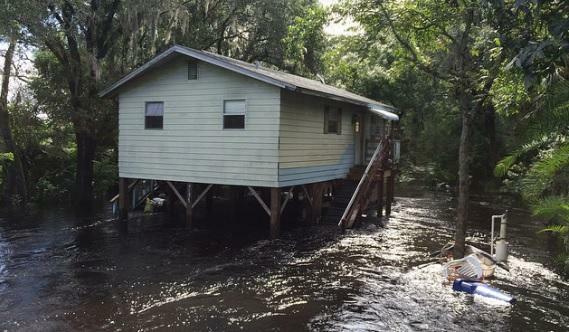 Flooding affected residents along the Florida gulf coast, including the Anclote River, after Hurricane Hermine passed through the state a few weeks ago. 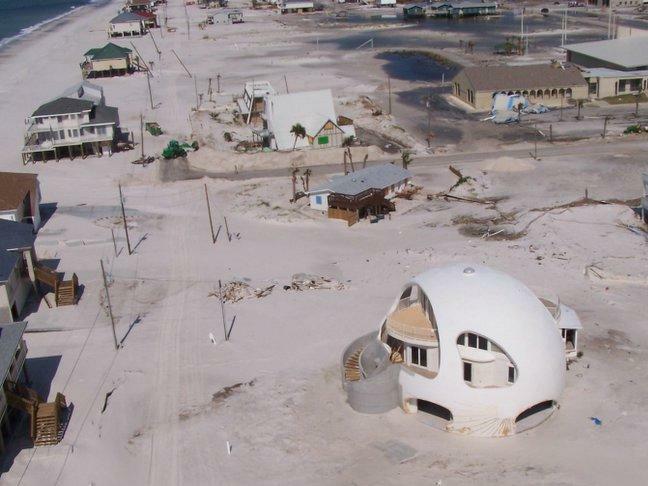 Florida’s Office of Insurance Regulation on Friday approved most of the changes requested by Citizens Property Insurance. The new rates will go into effect on Feb. 1, 2017, and a majority of Florida homeowners should expect a rate increase next-year from the state-backed insurer. Citizens requested the increase primarily to cover a surge in water-damage claims. A rate hearing was held on Aug. 18 in Tallahassee. Insurance Commissioner David Altmaier adjusted down the request on homeowners’ multi-peril accounts from 6.8 percent to 6.4 percent, but regulators approved the rest of Citizens’ requests without change. Under the rates approved Friday, homeowners’ wind-only insurance in coastal areas will increase an average 8.2 percent and mobile homeowners’ multi-peril accounts will go up by 5.7 percent. The actual premium change for individual policyholders depends on a number of factors, including the coverage amounts and property location. Citizens projects that, of its 492,775 personal and commercial policies in place as of Sept. 9, about 100,000 will see rate reductions next year. The review comes after Monroe County officials and residents in the Florida Keys sought a delay on wind-storm policies. Republican Sen. Anitere Flores, R-Miami, who has backed legislation that would scale back the size of Citizens, called the hike a “slap in the face” of consumers. More than half of Citizens Property Insurance customers will face rate increases next year, under a proposal going before the insurer's Board of Governors on Wednesday. 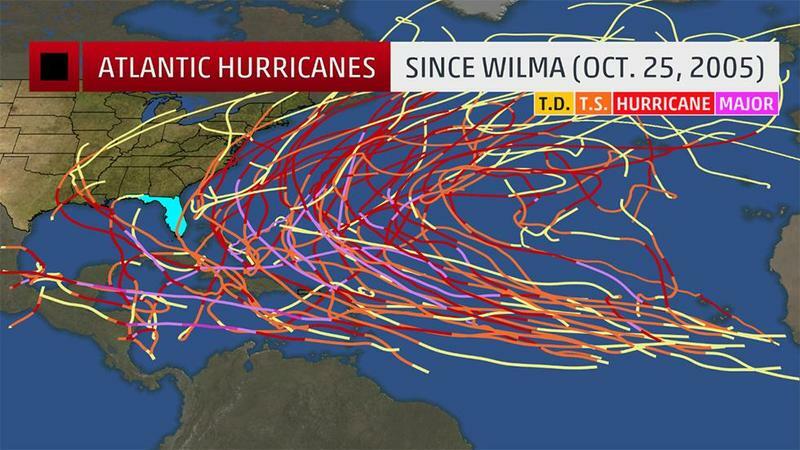 The biggest increases are expected to hit coastal policyholders. "The overall increase is being fueled by a continued spike in water loss claims in Southeast Florida and the fact that most coastal policies with nearly adequate rates have found coverage with private market insurance companies," a release from the state-backed insurer said Monday. 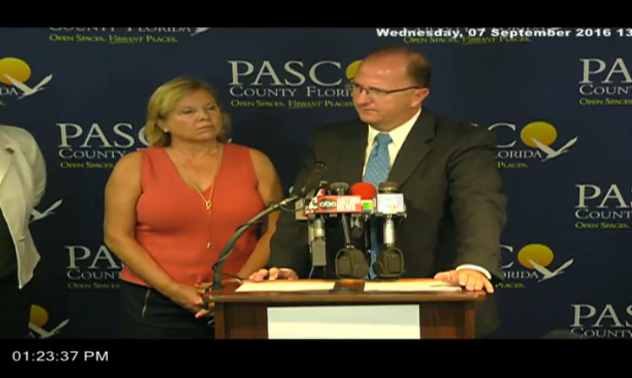 Screenshot from Pasco County TV. Pasco County has identified about $89 million in damages from Hurricane Hermine, making this one of the costliest disasters in Pasco County. Some neighborhoods near the Anclote River in Pasco County are flooding. 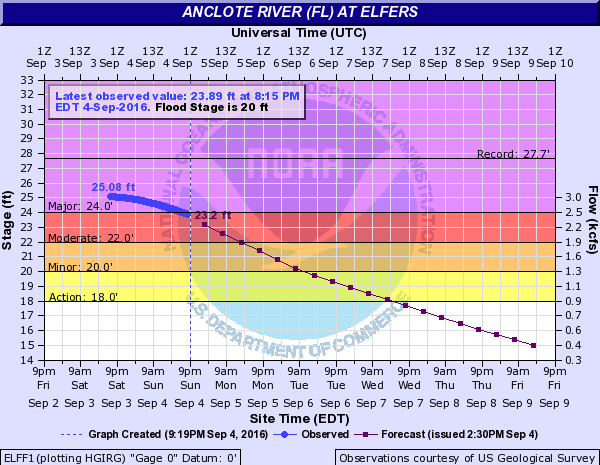 Because of high tide, Hurricane Hermine and a strong thunderstorm on Saturday, the Anclote River crested Sunday at 25.08 feet, officials said, and is forecast to slowly recede out of major flood stage by 8 a.m. Monday. The Anclote area remains under a flood warning.